Ok. I am guessing my other comment didn't go through since the one I just left posted. I believe everyone is entitled to their own feelings on things and I don't disagree with the two scenarios you described and your distaste for them.I am just having a hard time wrapping my head around this scenario as being negative reinforcement. : let's say you were in a crowded place and your dog is very distracted. You give him a couple of barely detectable shocks because he's not listening to your voice and it's a signal for him to turn and look at you. He looks at you with a happy face and you give him a command and then when he obeys you praise him with treats or affection. eventually he gets better at listening for your voice in public and is always happy to do what you ask because he knows he's going to get a treat or love. Now I understand that most people would say that you should train your dog at home too readily listen to your voice no matter what the situation. But my difficulty is wrapping my head around that scenario being negative reinforcement. Could you please explain? The attention-getting aspect is fuzzy as far as the operant conditioning quadrants, but in the scenario you describe, it is closer to positive punishment, since you are shocking the dog (adding aversive consequence) for, I guess, looking around (undesired behavior), thereby reducing the frequency of looking around. It could be negative reinforcement in that the dog knows you will quit shocking him (taking away aversive consequence) when it looks at you (desired behavior). Negative in these terms simply means taking something away and positive means adding something. Here's one of my issues with the scenario you describe. If the dog is finding the shock unpleasant, how are you guaranteeing what it is associating the shock with? What if it starts to associate crowded places with shocks, adding to its stress? And by the same token, if the dog is too distracted to listen, it's what trainers refer to as "over threshhold" and force-free trainers would recommend the dog not be put in that position and taken back a step to an environment where it succeed. Yes, it takes longer, and this is one reason why shock collars are appealing. I can't take Ruby to crowded places - we avoid encountering other people and dogs as much as possible. If you told me putting a shock collar on her would mean I could take her to the farmers market or to a dog park...I still wouldn't do it. Ruby is terrified of the sound of plastic bags and keys. I just can't imagine how damaging even the lightest of shocks would be to her. I think I know which blog post you are talking about and I was also very surprised by it, too. I am really on the fence about shock collars. I recently watched a video by Leerburg where they put the collar on themselves and were testing it and they barely felt anything until like level 15 or something, but like you said how do we know exactly what the dog is feeling? I've seen a bird dog trainer shock their dog at the highest level possible and the dog didn't stop doing what he was doing or even notice it, but I think that was due to building up a resistance and he was a lab. I can understand the allure to the shock collar. I can understand why people would think it's a good training tool. In this day and age having a "remote control" that instantly makes your dog behave... very alluring. I've had my moments where I've been like "this is why people buy shock collars!!!!". I won't ever be getting one but I can see why people buy them. So where I'm at right now is we just keep training with PR, we have good days, bad days and some embarrassment here and there but I'd rather that than shock my dog. The example of the bird dog would indicate that if the dog doesn't feel anything, it is a useless training tool and they will either have to get a stronger collar or find a more positive motivator. They are alluring, sure, in the way that short-cuts are, and for the average person who wants a dog to lay around the house and never misbehave, they seem like the answer for lots of common behaviors like barking, jumping and digging. Would you believe I saw a review by someone who used one on their CAT...for meowing? They stated they only used the vibration mode, which the cat must have found unpleasant. Yeah, I agree with you. I can't believe someone would use one on a cat!! It just seems so crazy. I would never use one for common behavioral problems, either(barking, digging, jumping), like you mentioned above. I honestly don't think I'd ever use one, even though I have had moments where I was like.. "it would be great to have a remote button to press to stop her from doing that". It was a very, very frustrating moment in time but I know that if I keep doing what I'm doing, eventually things will improve. I do think e-collars with a vibration setting can be useful for training deaf dogs, though. Just the vibration setting, though! I used to work with a trainer who rescued deaf boxers and great danes and she used them. Lara, I'm so glad you wrote this post! In a world where purveyors of less than savory methods hijack the rhetoric of positive reinforcement trainers and make liberal use of euphemism, I think this kind of post that calls our attention to the science of how these tools work is incredibly important. I'm glad you linked Jessica to the Eileenanddogs article--I tried to link her and elaborate on the relevance, but google dumped my comment. Aversive stimulus is applied. Dog looks at you. Aversive stimulus is removed (negative) and looking at you increases (reinforcement). Make sense? In addition to the risk for aversive fallout that you described, my major concerns for this "magical attention signal" would be habituation and punishment callous. That is, as Eileen points out, non-predictive stimuli are subject to habituation. You may start out at a low stimulation. But if your dog learns that your treats or praise aren't better than the environment--or, more relevant for reactive dogs, more relevant than how scary the environment might be--he will eventually stop responding to that low level. Then you have to turn up the collar. You may be able, eventually, to return to that low level; now it will predict a higher level of shock if the dog fails to comply. Frankly, if your dog wouldn't respond to your voice in the first place, I doubt that she finds your praise for returning to your side more relevant than she found the shock that brought her there. I suppose that, hypothetically, you could classical counter condition the low-level shock with truly excellent treats so that it actually became a predictor of something good. Frankly, however, I consider that unlikely, and if that's your actual goal, I'd sooner point you to a collar that vibrates, designed for deaf dogs, and tell you to load it with classical conditioning before taking it on the road (I think this kind of product is a thing?). Thanks for commenting, Meghan! I think I came across a vibration-only collar, although personally I'd be hesitant to use even that on a sensitive dog like Ruby. Certainly people with deaf dogs have fewer options. The Dunbar quote at the top, summed it up perfectly. Because it's a scientific fact that positive punishment might "work." But who'd want to risk their relationship with their dog? The science hurts my head sometimes, and I'm still learning. My own position is based purely on heart, but I like to provide the facts in a post like this. It's easy to base it purely on emotion and that doesn't get us anywhere. It isn't an argument on effectiveness in my mind, but on necessity and potential repercussions. I love the Dunbar quote, it's perfect and succinct. 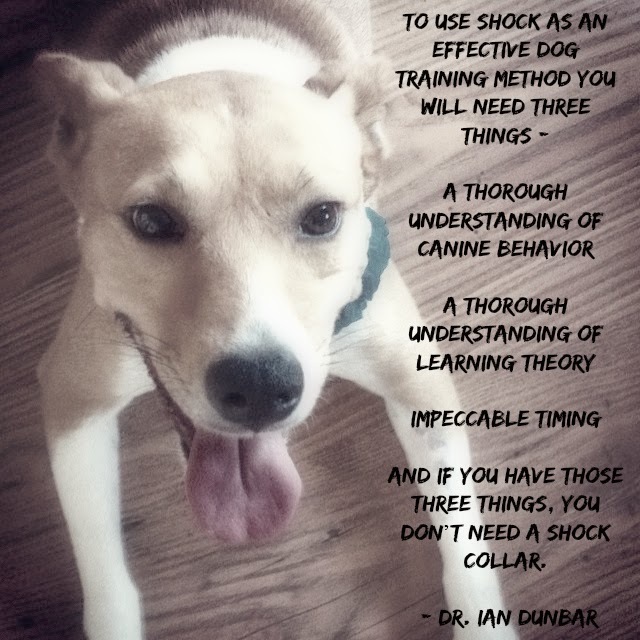 Great joint pointing out one aspect of shock collars that many people forget - they malfunction. I try not to judge people's choices to use shock collars, because I have a friend who has used them with great success and I love her and I know she loves her dogs and animals. I don't think she's ignorant or lazy about dog training (some of the judgments I've laid on others). She worked closely with a dog trainer and said that she only had to use the shock feature a couple times. Blah blah blah. Anyway, that's why I try to keep an open mind. But when I saw the blog post I think you're referring to, I was surprised as well. I thought it was well thought out and brought to mind my girlfriend. But I still feel uncomfortable with the promotion and sell of shock collars because I wonder how many people ran out and purchased a collar on the word of one blogger's experience. I truly think that spanking, shocking, scaring or using any other form of pain or intimidation when training your dog is wrong. I broached this subject once and was surprised by the number of people who admitted to hitting/spanking their dogs and followed up with "it works." That doesn't make it right. As a child of abuse, I can definitely say that it's wrong wrong wrong. What concerns me about shock collars, despite the malfunction aspect (which our dog trainer warned us about very politely - which I only respect today, because knowing her training technique, she must have been horrified when we asked her about fenceless systems and training collars), what worries me is that people will go to Petsmart or Petco and buy a shock collar as their first answer. They won't work with a professional, they won't look at their own behavior and how that can be impacting their dog's behavior, they'll just shock the hell out of their dog. Rodrigo drove me NUTS when he hit adolescence. He was a roamer, reactive, a bully at the dog park. There were many days that I wanted a shock collar - but I'm so thankful that I didn't do that. Today, he's still all of those things, but I've changed MY BEHAVIOR and as a result his behavior changed as well and it's more manageable. A shock collar would have just made it worse. 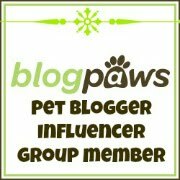 So I'm glad that the blogger (and my girlfriend) had great success using a "training" collar, but I think dog owners should be pushed and shoved to work with a reputable dog trainer and not take a short cut by using pain to make their dogs behave. Yes, I get that this isn't what the blogger was doing, I just think that many novice dog owners are doing this without understanding the consequences. Thank you so much for your thoughtful comment, Kimberly. It means a lot. As you say, just because they might work for some doesn't make them right. The argument for me isn't about effectiveness, but about necessity and the potential for harmful repercussions. The big shock collar companies are multi-million dollar companies, started out as electronics companies, so of course they are going to promote these products and deny any harmful effects. 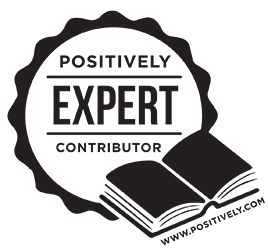 Unfortunately, because they know there is a large market for positive reinforcement, they've absorbed a lot of those products as well so that it's hard to buy any of the well-known force-free tools without inadvertently supporting shock collars. I definitely try to keep my emotions in check in these discussions because it's a very passionate subject for me. I mainly want to urge people to do their research and to ask themselves if there is a better option, because there nearly always is. We have the bigger brains, and it is our responsibility to figure things out for our dogs. I have openly admitted to using a prong collar on my first dog, because someone at a big box store pointed me toward one, assured me that "it didn't hurt" and I didn't know any better. Now I know better, and I can't ever go back. Thank you again for your response, I have a lot of respect for your viewpoint. Argh. I had a long post here, then I clicked on something and it got eaten. The arguments that are clearly in favor of reinforcement-based training: ethics, the high likelihood that you will worsen/create undesirable behaviors, the value of a good relationship with your dog (and no, by definition you cannot have a good relationship with a person who physically dominates and controls you), the fact that not all dogs are psychologically robust enough to shrug off punishment (and no, most owners can't tell the difference, as anybody who recognizes dog anxiety is keenly aware), the long-term stress reactions of punished dogs. Etc. Those are the arguments we can win. Of course punishment works. But why on earth does your dog deserve punishment? Who gave you the right to administer it? Why use it at all, when there are so many options for not doing it? 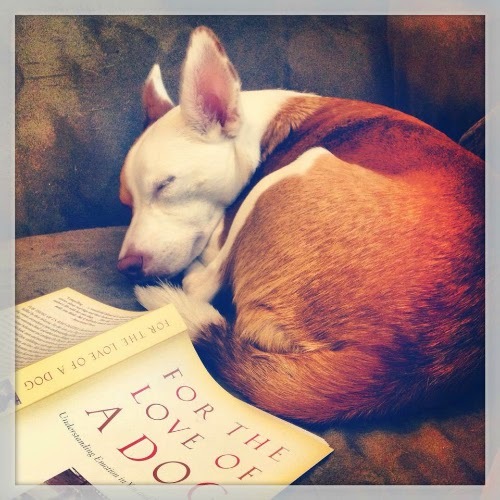 "But why on earth does your dog deserve punishment? Who gave you the right to administer it? Why use it at all, when there are so many options for not doing it?" That is so interesting, that someone would say clicker trained dogs are more rowdy!! I've never heard that before and I can tell you that my two clicker trained dogs are two of the most mellow dogs I've ever had. Sure Phoenix does have her silly, rowdy moments but it's because I let it happen if I didn't want her to be playing I could cue something else. I spent a lot of time reinforcing both of my dogs whenever they were resting or laying calmly on their own so that's just their default whenever I'm not actively engaging with them. It's awesome. The malfunction/failure point is so important. There are documented failures in the DEFRA study (the first link in resources, "The Welfare Consequences..."). In the STUDY! Thanks so much, Eileen! It's easy to get caught up in the emotion, and I think the science of behavior and learning helps us have a measured discussion. My reasons for not using them are based purely on heart - just as I don't need studies to tell me dogs are intelligent and emotional - but it's nice when we can urge others to use their heads. I don't want to go into too much detail about why I don't use negative reinforcement since it's all been said so much better by your post & from some of these comments. Just wanted to add that yes - shock collars work, and what makes them more attractive to many is likely the fact that they work so quickly. Which again shows the difference between training techniques. I think a lot of the problems with e-collars and negative punishment come in when you're not really redirecting your dog to seek out desired behaviors - you're just telling them what not to do. I've found really great long term results with positive reinforcement. It not only gives her incentive to perform well it seems to make her much more focused and willing to try new behaviors to begin with. I just think of it as showing her what is expected, what is appropriate, and what is desired - rather then telling her no and letting her figure it out on her own.